On Wednesday, May 8, the 3rd Annual Donald W. McCarthy Heartland Leadership Forum will welcome Executive Vice President, Chief Administrative Officer, USAA, Ret. Vice Admiral James Syring to speak on “Lead From the Front: Ethical Leadership and Public Service.” The forum is presented by U.S. Naval Academy Alumni Association Upper Midwest Chapter and will feature networking, reception and a dinner. The forum will take place from 5:30-8:30 p.m., May 8, at the McNamara Alumni Center on the University of Minnesota campus. Early-bird tickets are $75 through April 3 and then $90 regular price. Student & active duty pricing is available at usnauppermidwest.org. Vice Admiral James Syring (Ret. 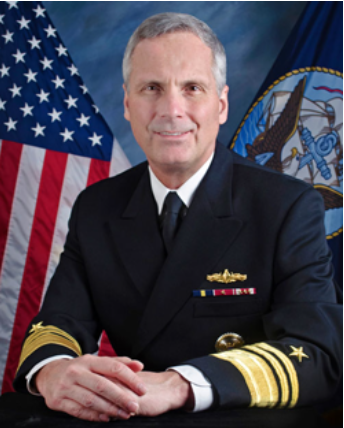 ), Executive Vice President, Chief Administrative Officer, USAA, is a 1985 graduate of the United States Naval Academy with a Bachelor of Science degree in Marine Engineering, In 1992, Syring earned his Master of Science degree in Mechanical Engineering from the Naval Post Graduate School. He was the Director for th efense Agency (MDA), Office of the Secretary of Defense, Pentagon, Washington, DC. In this capacity, he oversaw MDA’s worldwide mission to develop a capability to defend deployed forces, the United States, allies, and friends against ballistic missile attacks. Syring’s personal awards include the Distinguished Service Medal, Legion of Merit (2 awards), the Meritorious Service Medal (4 awards), Navy Commendation Medal, and Navy Achievement Medal. Erik Therwanger is moderating the Forum and is the founder of Think GREAT and the author of The Think GREAT Collection. As the vice president of a media company, Erik developed a team of leaders and designed the systems necessary to achieve over 300% annual sales growth. 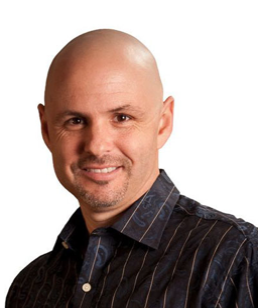 He now teaches business leaders how to reach new levels of success based on his unique experiences as a United States Marine, executive business leader, sales professional, and entrepreneur. Find out more at thinkgreat90.com/meet-erik-therwanger. View the schedule and Register at usnauppermidwest.org.